In January 1996 after ten years of leading Nike’s Global Marketing Insights & Planning I accepted the VP of Brand Planning position at Starbucks. In my initial interview in 1995 with CEO Howard Schultz, Arthur Rubenfeld, VP of Retail Stores and VP of Marketing Scott Bedbury we discussed some of the hopes and concerns surrounding how to grow the Starbucks brand with integrity. Brand positioning questions and feedback from senior executives set the tone and direction for brand development work over the course of the next two years. This was also the critical time when we established a brand blueprint for growth with integrity to a set of core values. 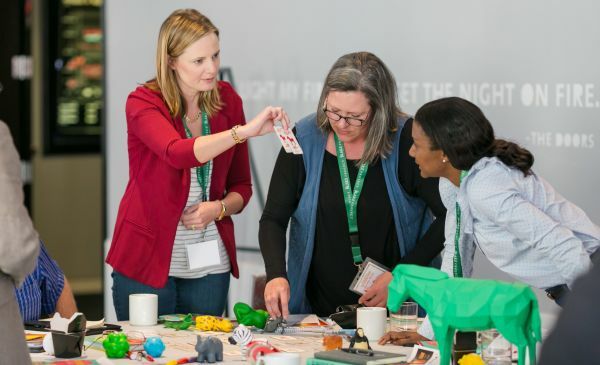 From this experience I learned five things that helped shift Starbucks onto a more soulful and iconic brand development path. 1. Build A Common Brand Vision. When I arrived at Starbucks headquarters in Seattle there were many internal voices telling Howard what he should do to grow. Many of these ideas could have generated additional sales but would not be polishing the brand image in the process or strengthening the internal culture of the brand. Most Starbucks executives came out of the packaged goods or quick service restaurant industry and they brought with them the values, goals and methods of operating common to those industries. Yet, Howard was concerned that if Starbucks imitated McDonalds or any other QSR or packaged goods brand it may never achieve its growth potential. This concern had to do with Howard’s deep understanding that coffee wasn’t just another beverage. High quality specialty coffee Howard knew has a rich, colorful and soulful past. Howard had experienced the Italian love affair with espresso, lattes and strong coffee of all kinds and knew that the role it could play in America was different from the role that a fast food burger joint played. Specialty coffee had a different kind of energy, charm, taste, style and sociability. I was recruited away from Nike (more on that experience here) to help shed some light on this for brand planning purposes. I was initially asked to study the global history of coffee and glean what insights I could about the values that Starbucks needed to hold onto as it grew. It was Scott Bedbury who called for the building of a common vision for what the Starbucks brand could become. Scott convinced Howard to hire me as a means to conduct a comprehensive and far ranging strategic brand positioning study to tease out the important elements, the leverage points that Starbucks executives in all divisions needed to agree on to build the brand with integrity to a set of core values that served a core brand purpose. 2. Set A Course For Insights: On my first day on the job, Scott told me he wanted me to read everything there was to read about the origins and history of coffee, and about Starbucks brand history and to get an accurate fix on its current position in the marketplace, and to let him know where the gaps were for the brand and for the category as a whole if it were to achieve its growth potential. He positioned this work with the senior management team as conducting a “big dig” which was described as a kind of a archeological dig, going down through brand and category layers of meaning to discover the DNA governing engagement and attraction. Scott and I both knew that if you want to change the world, you have to start with an ideal. And we knew that the coffee category in America had been devoid of any real innovation around “ideals” for nearly fifty years. In addition to studying the historical context, language and imagery of the category I put together depth workshops across the US to help Starbucks locate its current brand position in different product and service categories. On top of that I commissioned a large-scale segmentation study to understand the benefits sought most in the category related to all coffee brands, packaged coffee products and quick service restaurant experiences. Putting together a customized, multi-layered learning approach develops multi-dimensional intimacy with both the category and with consumers. It helps you sift for insights like gold miners would pan for gold. Not all insights are created equal. Some provide greater leverage to help you move your brand and product narrative forward. Brand backstory research like this also allows a planning team to tease out the culture and values of the entire category, and then compare your brand to ideals, competitor positions and unmet consumer needs. 3. Capture The Shared Romantic Ideal: Dream catching was one particularly powerful research tool used in the big dig. It entails delving into the power of a dream state as a means of conceiving and designing ideal experiences. Participants closed their eyes and imagined that they were enjoying the best cup of coffee they’d ever had, in the best coffee shop they had ever been. Through a group meditation and guided visualization the respondents were gently encouraged to notice the other people in the cafe, what the space looked like, the plants, furniture, lighting, colors and textures, the smells, the sounds, and the food. When the mediation period ended the participants were asked to describe what they had seen, and we were surprised to discover their descriptions were all very similar. It was as if they’d all read the same book, or watched the same movie. We learned about a shared romantic ideal, which the ideal coffee house represents, a universal vision shared so consistently across ages, genders, geography and demographics. Thus, the ideal coffee shop, as it turns out, is an archetype in the collective subconscious. The resulting imagery helped us to close the gap between what Starbucks had started to become in the public eye, a corporate coffee chain, and the much more ideal experience of a more soulful coffee shop that so many respondents had visualized. 4. Bring The Vision To Life: The ideal coffee shop findings were then translated into a store design brief, highlighting the visual cues and design codes that Starbucks designers needed to pay attention to. The findings were embraced by Wright Massey who was Starbucks head of design. Armed with these insights, the Starbucks store design team found new ways to bring the history and mythology of coffee to life, not just in the design of the stores, but also in packaging, posters, promotions, print advertising, the employee handbook and even in the Starbucks Annual Report. A unique symbol and packaging style was developed for each variety of coffee, and a story was crafted to explain the stages needed to produce the perfect cup of coffee. The team also developed symbols and graphics to go with each major holiday, and highly stylized but low cost wall murals turned blank walls into rich stories and imagery. The retail store design group was also given the task of reimagining not just a single store concept but four distinctly different store concepts that all drew from a common kit of parts, both functional and artistic, which reduced the cost of building out new stores by 22%. As this work was going on, a group of Wall Street analysts were invited to tour Starbucks headquarters where they saw the full-scale models of the new store prototypes and the incredible creative output of this brand development studio at work. The next morning when their reports hit the media, Starbucks share price jumped by 20%. It should be noted that this initial store redesign work was done several decades back. And that in retail on average the store look needs to be refreshed at least every five to seven years. Since this time Starbucks store designs have drifted more towards neutral or sepia color tones, which are more timeless and classic in style, which makes their cafes less trendy feeling in a design sense. This lowers the capital expenditure related to keeping these stores going. 5. Share The Vision: About nine months later, after immersing myself thoroughly in coffee culture history and getting executive feedback for some of the ideas it was time to share the vision. But it was not enough for the ideal Starbucks coffee shop vision to be expressed only through design. It also had to be expressed through behavior, through each and every Starbucks employee at each location. Hence, we had to share the vision with everyone inside the organization. One of the first venues where the vision was shared was at a convention of Starbucks store manager’s held at the Bellevue, Washington Hilton in the Fall of 1996. Research had revealed that in the public’s mind, the Starbucks brand was starting to lose its soul and was even becoming like “the McDonalds of coffee,” so Deepak Chopra had been invited to speak to the group about the nature of the soul, hoping to help hundreds of managers to reconnect with a deeper understanding of why the coffee shop experience really mattered. I spoke next, and delivered a talk on the nature of Starbucks brand purpose and its soul, which had been gleaned from the big dig’s insights. Some believed that Starbucks was in the coffee business, others that it was in the quick-service restaurant business, and others still, that it was the packaged goods business. The big dig revealed that the core opportunity in terms of creating magnetic brand appeal was to primarily position the brand in alignment with the ideal coffee shop experience itself. This is where people went to nurture their own sense of soulfulness. To pause in their day, rescript their plans, to reflect on new creative challenges, to have animated conversations. This new brand vision talk was given a name: Starbucks – The New Third Place. It’s not home (1st place) or work (2nd place) it’s somewhere in between, a public hang out. Other Third Places have existed in cultural history: Roman forums, English pubs, Italian piazza’s, German Bier Gardens, Tea Houses in Japan. I shared, the history of Third Places and their public role and benefits. They mediate between the individual and society at large, they serve as a neutral meeting place for business meetings, they serve as a place to be reflective and creative, they’re places where a stranger may feel at home, they’re places that nourish relationships, they embrace human diversity and contact, they serve a variety of need states throughout the day allowing people to relax, recharge, refuel, indulge, reward themselves or disconnect from the world and its cares. At the end of this talk I rolled a four minute video that our agency Goodby, Silverstein & Partners had created that brought Starbucks brand purpose as the New Third Place in American Society to life. It worked. A new common vision of what the brand could become had been thoroughly researched, insightfully constructed and shared. The feedback was immediate and positive. Howard kept a copy of that video and would proudly replay it from time to time to office visitors. As Starbucks exemplified the coffee shop archetype in America, it also gained permission in the mind of the public to extend the design concept of the ideal coffee shop and indeed to play with it, giving it a uniquely American twist while remaining true to the brand’s own set of core values. 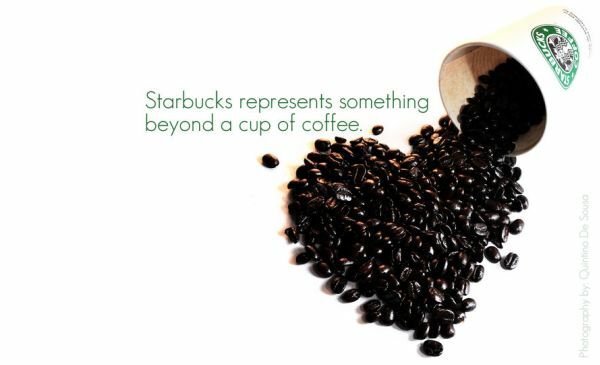 Hence, connecting the soul of the Starbucks brand with the deeper history and meaning of coffee and the coffee shop contributed to the company’s rapid growth and development in the following decades as it grew beyond its American roots and established itself as a global brand that continues to evolve and develop. I hope this helps you on your path to building a soulful and iconic brand.